Want to give a handbag this holiday, but not sure what to get? Here are five ideas to delight! One of my new favorite bag companies - these designs are new and oh so stylish. I love that Skinny Bags are all made in the USA! These bags are fresh and fabulous, they're the perfect gift for a fashionista. This burgundy Boldie Foldie makes a great gift and is on sale for only $99! I particularly love Skinny Bags because of their stellar founder, Elena. She's creative, dedicated, and boy is she a fun designer. Read more in this interview. I've had a love affair with Angela and Roi ever since they popped on the scene. I first heard of them for their luscious vegan leather (perfect for the animal lovers on your list!) but kept going back for the mission. 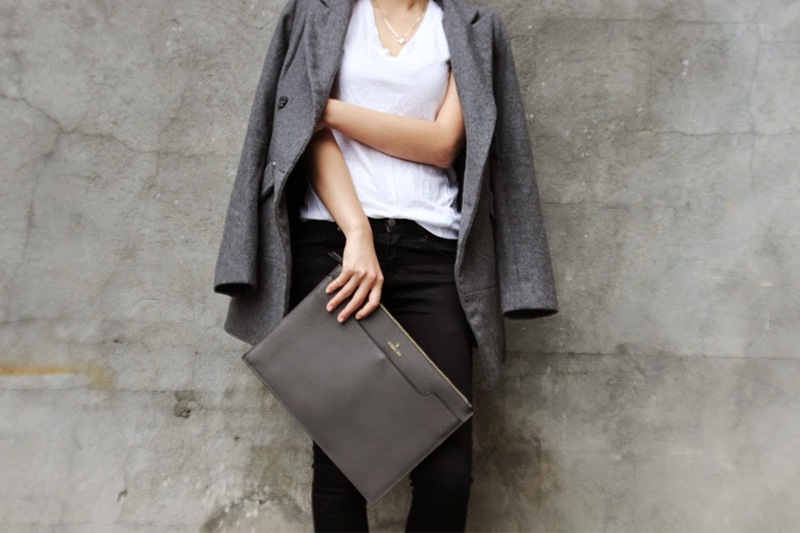 Each bag supports a cause - gift this gray December Clutch for $70 and feel good that part of your purchase went to prevent, treat and cure diabetes. There are so many causes to support at Angela and Roi - childhood cancer, Alzheimer's, depression and more. One close to my heart is Lung Cancer, read about one of my favorite bags here. Have a workaholic on your list? Give her a Brenda Macleod bag. They're like old Hollywood glamour - these bags will never go out of style. My Fiona is large enough to carry a portfolio or laptop but low-profile enough to come with me to happy hour. These bags are an investment at around $440, but they're so worth it. The Trendy Kitten is quickly becoming my go-to for big brands at better prices. Looking for a Michael Kors or Kate Spade? Go here first. 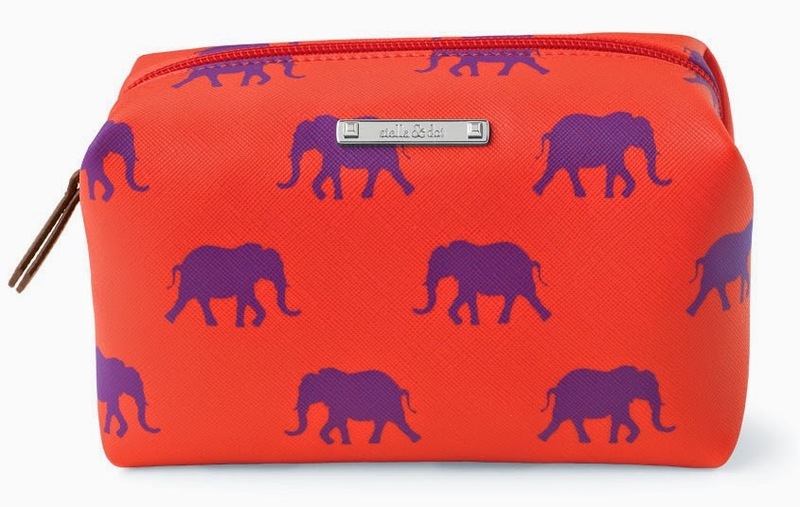 Like this Kate Spade Cherry Lane Amherst wallet at only $119, yes please! Plus, I love that founder Jen hand-picks everything on her site. You'll find great stuff here. I had the opportunity to interview Jen and instantly knew I liked her. I'd love to introduce you, read the interview here! I love me some Stella and Dot! A personal favorite is the elephant pouf, which makes a great gift at only $24. Want one for yourself? Get a discount when you buy three! Those are my holiday picks! I'd love to hear yours, send me a tweet at @hello_handbag!